No. 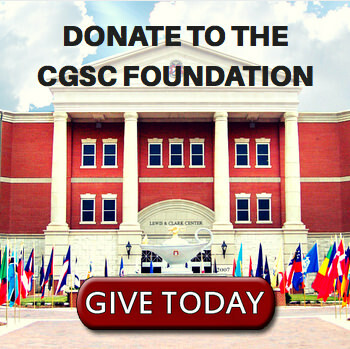 20/Spring 2016 (June) | Command and General Staff College Foundation, Inc.
We congratulate the graduating CGSC classes – SAMS and CGSOC – and wish them well as they head out to provide leadership for our Army and the nation. 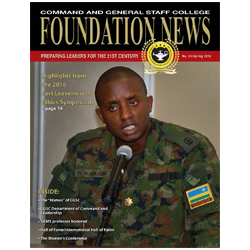 In this edition of the Foundation News we continue our “CGSC 101” series that highlights the various teaching departments at the College with a feature on the Department of Command and Leadership. 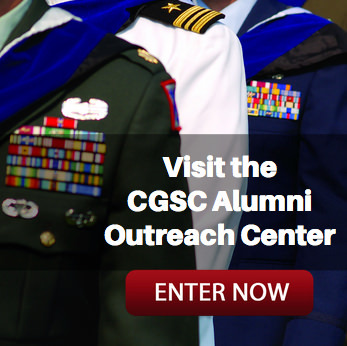 We also have a feature on the historic homes of CGSC, as well as a feature on a SAMS professor’s fellowship award…and much more. We trust you’ll enjoy this 20th edition. Just to remind you, we’ve started publishing a “digital edition” of the magazine online, so all the web links you see in the print edition will be active in the digital edition. So you have the option of viewing the magazine in pdf form or in the digital edition. We always provide our readers with a pdf that is easily read online or on mobile devices, but the new digital edition is truly an “online” edition. Readers can now more easily navigate through the magazine using the interactive page turns and active links on the cover and in the table of contents…and wherever web links appear in the text. Click the magazine cover to get started…or if you’d still rather download a pdf there’s a link below for that as well.